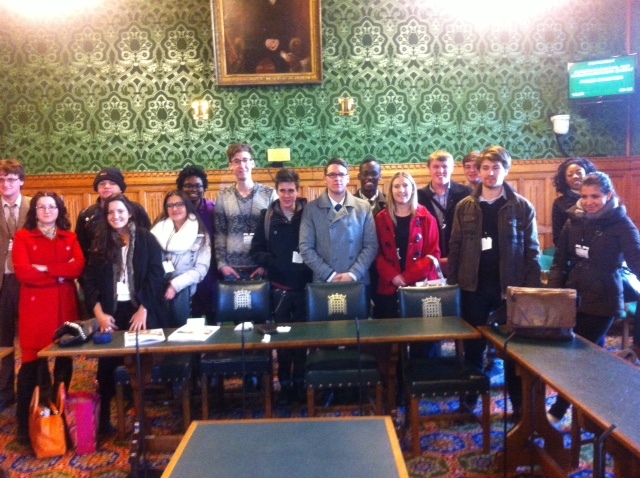 CCCU Politics and International Relations students were lucky enough to pay a visit to Parliament on Wednesday 26 March. The trip, organised and led by Dr Mark Bennister Senior Lecturer in Politics, involved an early start for the 17, mainly first year, students. 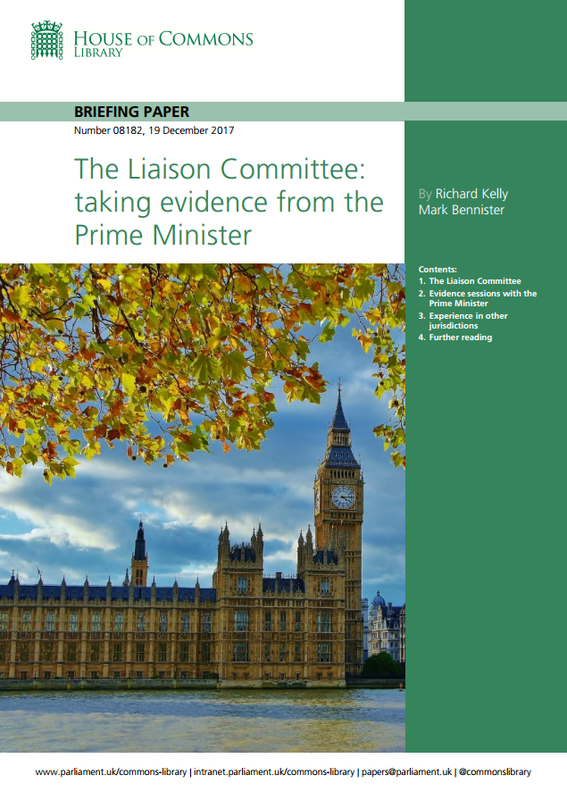 The packed programme started with a tour of the Palace of Westminster covering both the Commons and Lords chambers, getting into the Commons just before it was cleared for Prime Minister’s Questions. Students then had a session with Sharon Stanley from the Parliamentary Outreach team which involved using a bit of brain power for a quiz and to come up with some new laws. This was followed by a question and answer session with local Canterbury MP Julian Brazier. 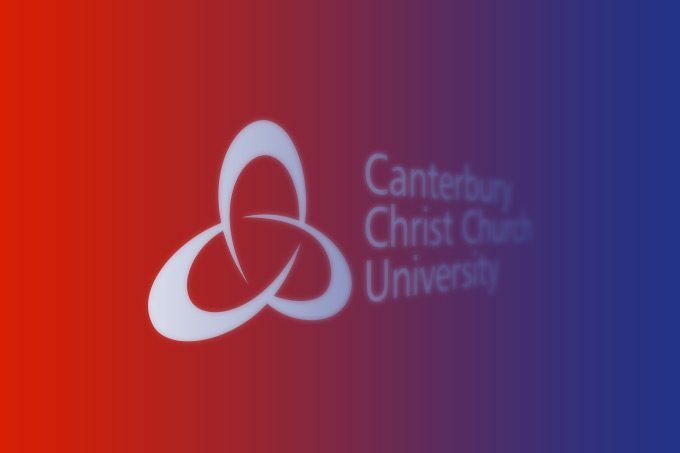 The debate ranged across several important topics including the crisis in Ukraine, student loans, local Canterbury politics and ended with a lively discussion on the EU including monetary union, immigration and Britain’s membership. 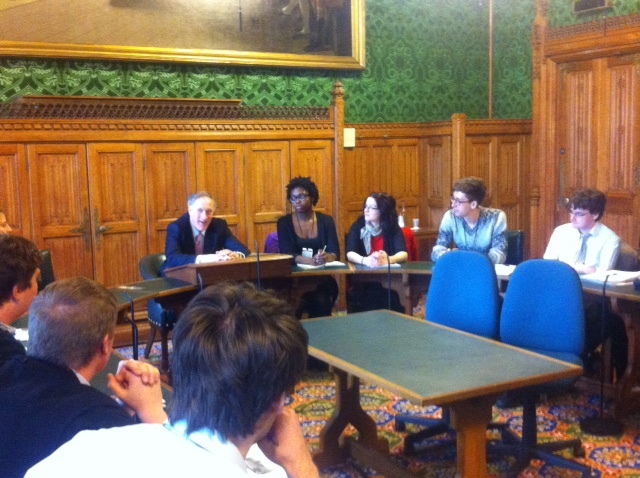 Some robust questioning meant that Julian Brazier’s views on reducing student participation rates, immigration and a critical view of the EU did not go unchallenged. The group had a thoroughly informative and interesting day and were a credit to the CCCU politics programme.